Well folks, it’s that time of year again! Late December. For those who celebrate Christmas, it’s nearly Christmas. Since Thanksgiving I’m sure loads of people have been unpacking their puff-painted snowman sweaters, setting up their miniature Christmas villages complete with twinkling lights and real live sprinkles of mirth, and dusting off the old holiday movie collection. I’ve actually never seen Miracle on 34th Street or White Christmas and I’ve only seen It’s a Wonderful Life in bits and pieces. I just don’t come from that kind of family. 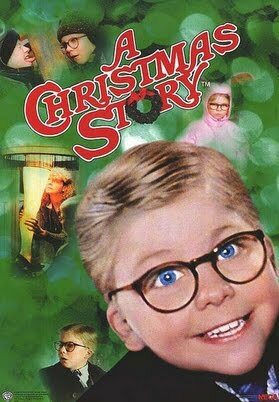 We were, however, the kind of family that watched A Christmas Story every year. I probably still watch it every year. I know—I’m not special. A whole lot of people watch it. Doesn’t TNT or TBN or some T channel play it on repeat on Christmas day? I’m not crazy; I’m going to watch it just once. This year, we will try and get the kid to watch it too. Not sure if he will. I like the movie. I’m not a rabid fan; I’m not going to get a leg lamp or anything like that. Also, the whiny cry all the children do is nails on a chalkboard to me. Anyway, you all probably know this movie already. It’s funny, it’s nostalgic, it’s something a lot of us can relate to in one way or another. It’s going to be on every channel in a couple days so you may as well watch it. Whether you’re getting your home ready to sell, collecting before and after photos of your next design project, or are just having fun we all want our photos to come out as best they can. To help you with this, I’ve put together a list of five tips to help ensure your interior photos come out looking great. Before you snap the first photo (unless you want to show a before and after comparison), you will need to prepare your room for the shoot. Start by getting rid of clutter, and do a bit of cleaning. When going through your space, keep in mind that everything in the photo should have a purpose. If something is not adding to the composition, feel, or effect of the photo then you need to get rid of it. This is also a good time to start envisioning how you want to capture your room. Most of those gorgeous interiors you see online are staged, meaning the rooms are dressed up specifically for the occasion. If you’ve never staged a room before, it’s easiest to start off in the bedroom. 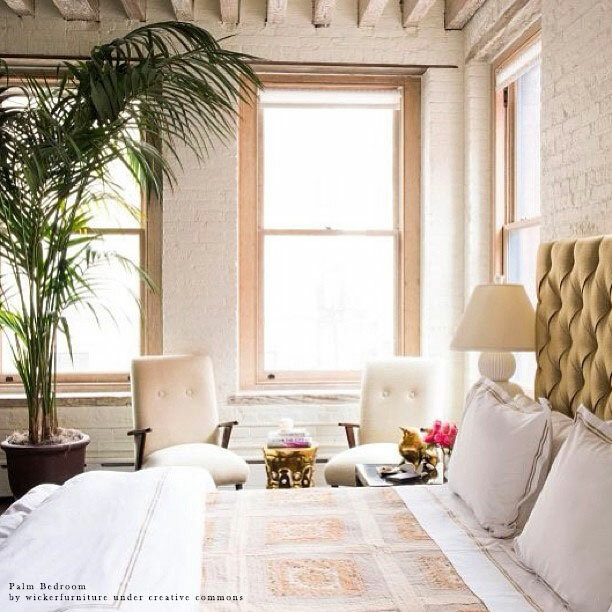 Since the focal point of any bedroom is the bed, you’ll want to make it appear luxurious and inviting. A bed made with a matching set of sheets will help you create a more coordinated look. Mirrors are also great for bringing in more light into the bedroom, and can help make smaller rooms appear more open. Remember that since one corner of the room will always be out of the photograph you don’t need to furnish the entire room — you only need to create the illusion that it is. Let the viewer’s imagination fill in the rest. Unless you take a lot of pictures, you should probably spend some time learning about the features of your camera. Automatic settings can do in a pinch, but ultimately limit the creative control you have over the picture. Manual settings like aperture, iso, and shutter speed can be intimidating, but are easy to become familiar with, especially using digital film. And with a plethora of online resources available to you, there’s no reason not to utilize some of the more advanced features of your camera. To capture as much of the room as possible, you’ll need to use a wide-angle lens (which has a similar effect of zooming out on a point and shoot camera). The sweet spot for interior photography is generally somewhere between 16mm and 24mm; however, some people prefer a longer lens as they feel the wide-angle perspective distorts the room. 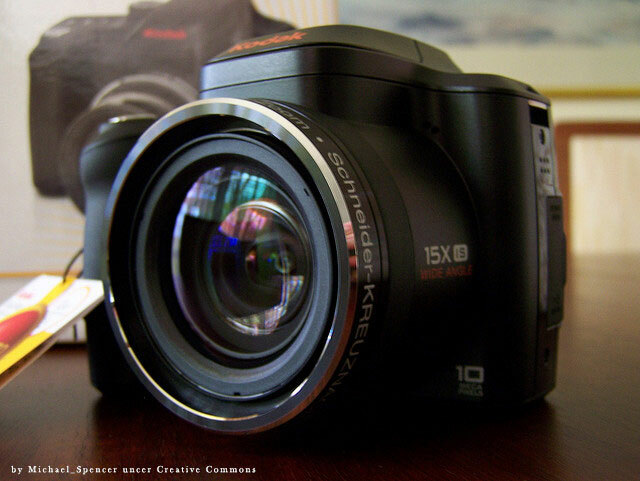 If you don’t have a wide-angle lens, you can always rent or borrow one from a friend. Something to be aware of is that most entry-level DSLRs have a crop sensor, which multiplies the focal length of the lens by 1.5 for Nikon cameras and 1.6 for Canon cameras. This means that to create a focal length of 16mm with a crop sensor camera, you’ll need to use a 10mm lens. The most important part of taking great interior photos is to have fun! The more fun you have, the better your pictures are likely to turn out. Great photos can help you show off the beauty of your space and capture the imagination of the viewer. A weekend session can be a great excuse to spruce up your home and hone your interior photography skills. Whenever possible, slightly sad ingredients are repurposed in our household. Take stale bread for example – revitalization possibilities include homemade breadcrumbs, Bread Pudding, and Crostini. These crispy “little toasts” are made using stale French or Italian bread sliced very thin, brushed lightly with olive oil, maybe dusted with herbs or spices, and baked in a moderate oven for ten minutes. Their small and sturdy texture, along with a cracker-like adaptability, make crostini the perfect salver for your favorite cheeses, vegetables, fish or meats. We enjoyed some recently as pre-dinner appetizers, slathered with a smoky chipotle chickpea spread and chopped organic grape tomatoes. The next morning, I thought, why not breakfast crostini? So I slow-cooked some eggs and whipped in a little sour cream for a smooth, rich creaminess. Fresh dill, thyme and rosemary added herbaceous depth. 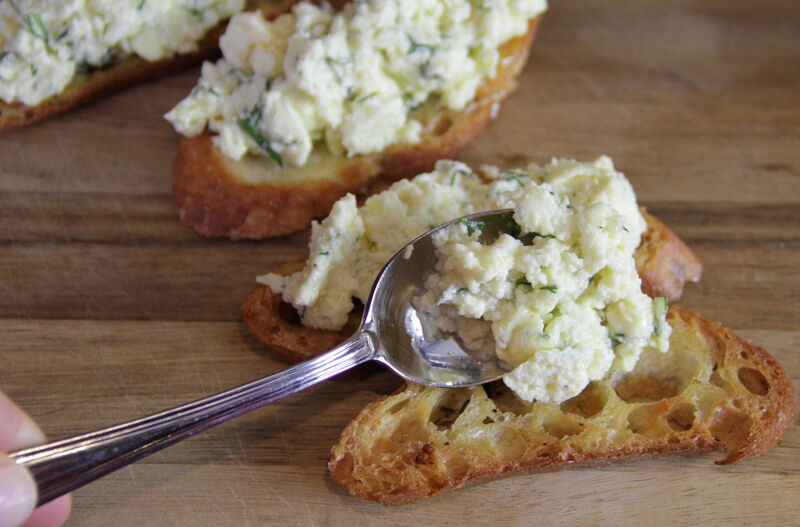 When done, I spooned the lush egg mixture onto the crostini. They still needed something. Then I remembered the tomatoes. I sliced them into thin rounds, and placed them on top with a sprinkling of dill. Now they looked just right. The result? 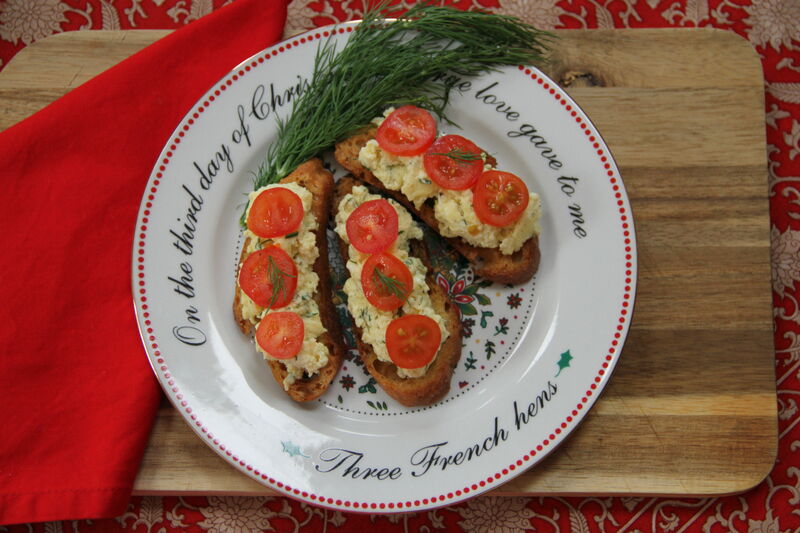 Crispy, crunchy, creamy – Crostini! Melt butter in small, heavy pan over medium low heat. 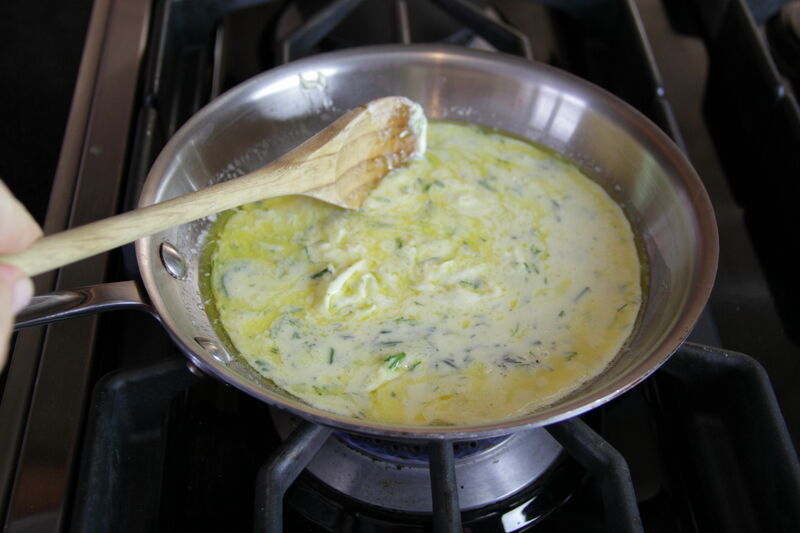 Break eggs into small bowl and whisk well with sour cream. Season eggs with salt and pepper, and stir in fresh chopped herbs. Add eggs to heated pan and cook slowly and gently. Stir and lift frequently with wooden spoon to avoid sticking. Cook until eggs are light and fluffy, and cooked through. 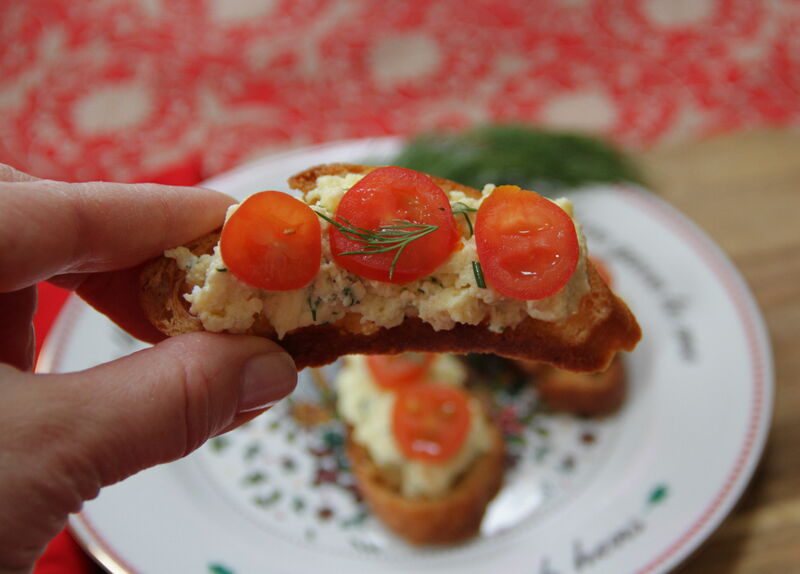 Spoon a small portion of cooked eggs onto each crostini. Top with sliced cherry tomatoes and garnish with a bit of fresh herbs. Makes 6 crostini, or 2 servings. Preheat oven to 350°. Slice 12 very thin slices of bread on the diagonal. Lightly brush bread slices with olive oil or Homemade Dipping Oil and place on cookie sheet. Bake in oven until golden and crispy, about 10 minutes. 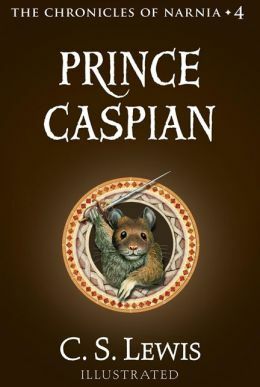 Prince Caspian: the return to Narnia by C.S. Lewis. Yes, ladies and gentlemen, it is sequel time around here! The Lion, the Witch, and the Wardrobe was such a resounding success that we thought we would dust off the follow-up, Prince Caspian. Anyone who tries to follow this series sequentially is in for a challenge. The recommended order and the order in which they were written are not the same. I just went for the sequel the movie empire chose to use as the sequel as well. Note the cover says it is “Book 4” Whatever! Only one Earth-year has passed since Lucy, Edmund, Susan and Peter tumbled out of the wardrobe and back into England. On their way back to school they feel a distinct tugging and, next thing they know, they are back in Narnia. Only, everything has changed. 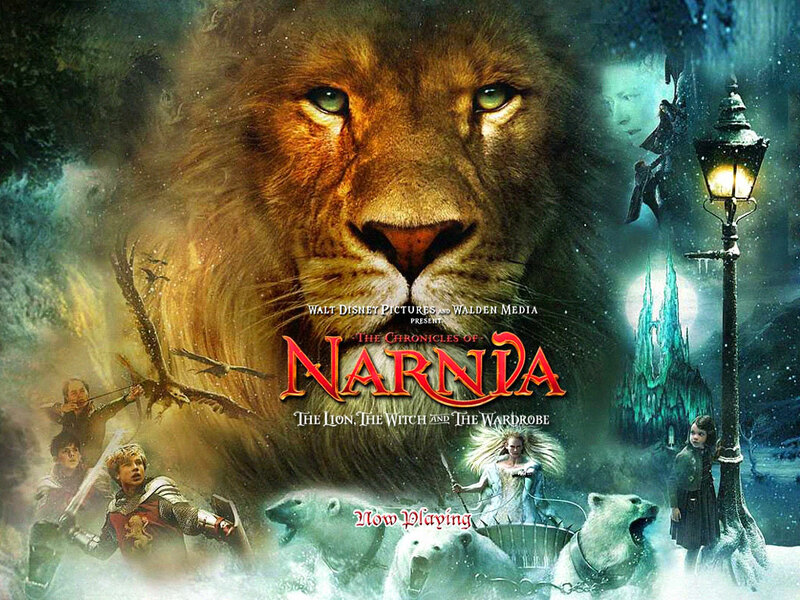 Hundreds of years have gone by and the Old Narnians, the talking creatures, the centaurs and fauns, are all in hiding, driven nearly to extinction by men. One man, and true heir to the throne, is a sympathizer and an rallies the Old Narnians to take back their land. When they are clearly losing, Caspian blows the magic horn which once belonged to Susan, which will bring help from anywhere. Guess who that help is? Guess what caused that mysterious tugging? It’s not a bad book though my son wishes there was more dialog. There’s a ton of these books. I’m not sure if we will read them all or not. If anyone out there has suggestions for chapter books for reading aloud, let me know! If you are a regular reader of my posts you will know that we recently read the classic children’s novel The Lion, the Witch, and the Wardrobe by C.S. Lewis. I figured this was a great opportunity to introduce my son to the concept of, “that’s not how it happened in the book!” Well, it turns out his dad is a more critical viewer than he is. I still have memories of being soooo irritated when the movie came out. I didn’t remember the book well enough to have strong feelings about its trueness to the book. But I do remember that it seemed to really, REALLY want to be The Lord of the Rings. LOTR it ain’t. And the sweeping shots of the beavers and children walking over fields is just not the same as the sweeping shots of men, dwarves, and elves walking on mountainous ridges. Sorry, whoever directed this movie. If you ask my boy, he will tell you that he liked the movie. But he will also tell you that his favorite part of the book is SPOILER ALERT the part where Aslan comes back to life and Lucy and Susan and Aslan wrestle and play in the grass in the morning. It is a beautiful scene, one which was not included in the movie, presumably to make more time for sweeping shots of beavers walking across the grass or of lots of monsters battling. That said, it’s surely better than the live-action Cat in the Hat movie or a Barney marathon. There is a lot of violence thanks to the extended battle scene, but none of it is bloody.There are worst ways to spend a weekend evening.